With franchise locations throughout Ontario, Eco insulation® are experts in the field of insulation for your home: from basements and crawl spaces to walls and attics, in either new construction or existing structures. All of our products contained recycled material and are recognized by the Canadian Construction Material Center. At Eco Insulation® we want out customers to feel comfortable with their decisions and the products we use. That’s why our staff will be pleased to take the time to provide you all the necessary information for you to make an informed decision when choosing the best solution for your home. So whether you’re tired of cold floors in the winter or wasting money on high energy bills, give us a call to explore your options during a free in-home evaluation. 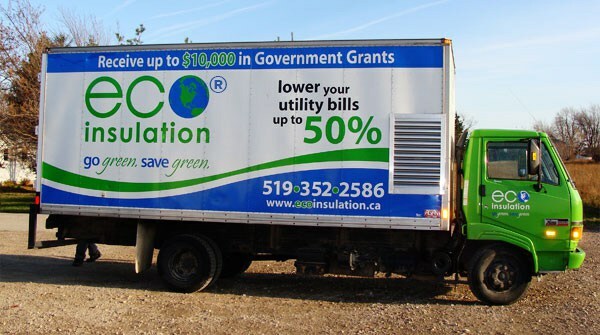 Eco Insulation® is your number one choice for commercial and industrial insulation projects; a fully insured and experienced member of the Ontario Home Builders Association. All of our products are CCMC approved and our bondable technicians are CUFCA certified. We also have an A+ standing with the Better Business Bureau. Eco Insulation® offers 2lb pound density spray foam (Polarform 7300), as well as cellulose insulation. Our technicians are prompt, clean, courteous and accommodating with other trade schedules. We even offer 24-hour operation if required.